The best businesses combine good ideas, hard work, and the right financial partner. 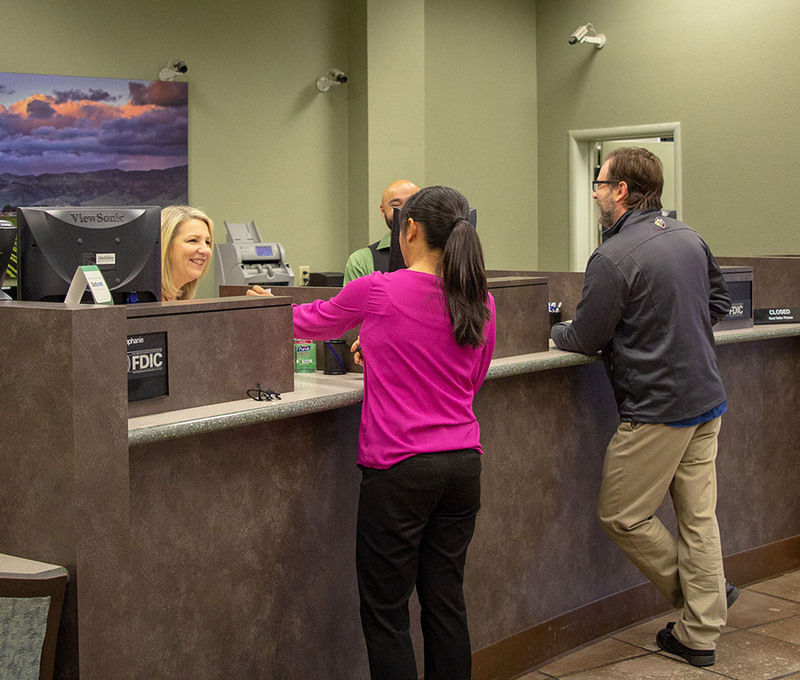 Pacific Valley Bank is able to create lasting relationships with Monterey County businesses because of our keen understanding of the local business environment and strong community connections. Work with our truly local team, let’s get this done. Liquidity is essential for any business to operate, and where you keep it matters to your bottom line. 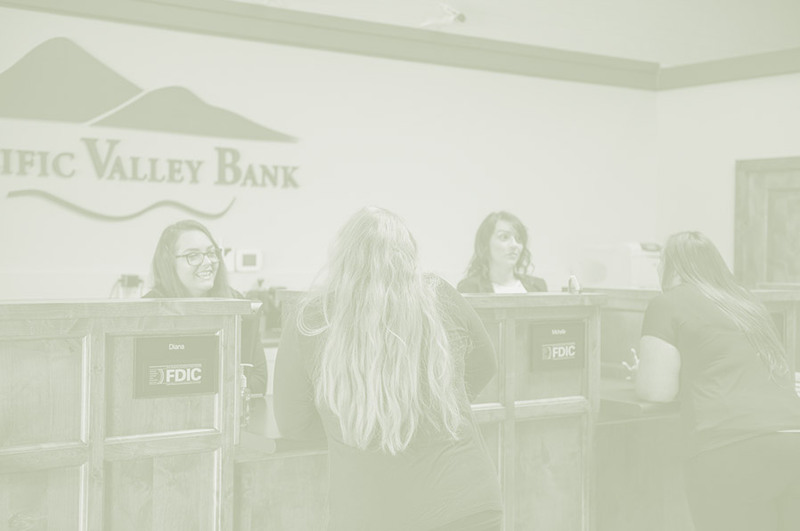 Pacific Valley Bank works hard for business owners like you, providing products with the features you need to help your organization achieve its financial goals. From business checking and savings accounts to comprehensive cash management solutions, our complete list of business product offerings is tailored to fit the needs of local businesses. Let’s get this done. A better tomorrows begins with educating yourself today. Gain the knowledge you need to achieve your financial dreams. Use our calculators to budget, create an overview of your financial status, or figure out loan payments. Budgeting for the future, let’s get this done. Pacific Valley Bank wants to be a resource for you. We provide a number of resources to make life easier. Whether it is accessing our nationwide Money Pass® ATM Network, using our debit MasterCard®, learning about fraud and identity theft, or using the FDIC calculator, Pacific Valley Bank provides the tools necessary to keep your financial life in order. Let’s get this done. The Salinas area business and agricultural community faced unique challenges, but the existing banking culture had no provisions in place to fulfill their financial needs. Recognizing their plight, a group of local business and community leaders rose to the challenge. These were business leaders in Monterey County who had prospered and were anxious to serve their community in a meaningful way. Why couldn’t they form a new community bank? One that understood the needs of those it would serve? The project sparked interest – those who embraced the dream became determined to transform it to reality. Pacific Valley Bank (OTCQB: PVBK) announced its unaudited fourth quarter 2018 net income of $503,153 or $0.13 basic earnings per share (adjusted for 2018 stock dividend). During the holidays, the team at Pacific Valley Bank likes to take time to reflect on what we are thankful for. Our list includes our friends and family, our amazing team, our wonderful customers, and, of course, our beautiful community. In addition to giving thanks, we also like to give back. Pacific Valley Bank announced its unaudited third quarter 2018 net income of $926,087 or $0.23 basic earnings per share (adjusted for 2018 stock dividend). Net income for the first nine months of 2018 was $1,953,304 or $0.49 basic earnings per share, as compared to the first nine months of 2017 with a reported $1,352,944 or $0.34 basic earnings per share. Pacific Valley Bank’s Senior Vice President of Community Development, Jim Lipe, serves as Co-Chair for JRDF One Walk Monterey, and has an intimate relationship with Type 1 Diabetes. Jim’s daughter, Katherine, was diagnosed with Type 1 Diabetes on May 24, 2012, and continues taking insulin to maintain the disease. Pacific Valley Bank is proud to support and engage with our local community by sponsoring important cultural, nonprofit, and community-centric events throughout the Salinas Valley and greater Monterey County. The Board of Directors of Pacific Valley Bank have declared a 10% stock dividend to paid on July 31, 2018. The 10% stock dividend will result in one share of common stock paid for every ten shares of common stock owned on July 16, 2018, the record date for the stock dividend. The spirit of responsibility is a core value shared among those who choose to serve their community, regardless if you are an individual or a financial institution. Outreach programs play a key part in our business efforts. We take our role of service seriously. Put your money to work with our promotional 11 month 1.75%* Annual Percentage Yield CD. Be sure to lock in this short term, high return CD while you still can. Growing your money has never been easier. *See terms and conditions in the button above.